Though only a trickle today at perhaps 6 million tons, the potential shipment of large volumes of PRB product to growing Asian power companies could be a game-changing opportunity for producers facing a potentially long-term declining domestic market. Having already shipped limited volumes into Asia, Cloud Peak Energy, FirstEnergy’s Signal Peak mine, Arch Coal and Peabody Energy are all aggressively moving to develop and secure Asian customers. Favorable in many ways to Indonesian coal popular throughout Asia, PRB producers clearly feel the market has moved to them. The only major bottleneck appears to be a high capacity coal port along the North American West Coast to export a significant tonnage. Though Cloud Peak remains the industry leader as far as PRB exports to Asia. However, both Peabody Energy and Arch Coal have announced plans for large-scale exports that, if initial reporting is accurate, could potentially reach levels well more than 50 to 60 million mtpy. Both producers have stated plans recently to develop or participate in the development of at least two west coast coal export facilities. But first both companies will have to win a fierce and potentially defining regulatory battle to build the ports as legions of enraged enviro-zealots gird their hemp-laced loins at the thought of dirty American coal being sent to even dirtier Asian power plants across the blue sea. The Green Troops are getting all fired up to prevent the long term economic progress they fear further imperils the planet. Arch Coal, already bruised from one lost round with the EPA and federal government over the revoking of the permit for its Spruce Fork surface mine in southern West Virginia, announced it decided to back the Australian producer Ambre Industries in its play to develop a new port in Longview, Wash. In early March, Peabody, SSA International and BNSF Railway also announced plans to construct a high-capacity terminal near Bellingham, Wash., at Cherry Point, to ship up to 24 million mtpy to Asian customers from Peabody’s PRB operations. It remains unclear if other producers will have access to the terminal. Can the Trickle Break Through? Collin Marshall, CEO of Cloud Peak Energy, which exported and shipped more than 3 million tons of PRB mined coal into Asia last year, spoke at Coaltrans USA of his company’s success and the enormous potential for PRB coal in Asia and India. All of the coal Cloud Peak has shipped to Asia originated at its Spring Creek mine just over the Wyoming border in Montana in the northern PRB. Spring Creek, which has more than 300 million tons of reserves and produced more than 19.3 million tons in 2010, has a slightly hotter, 9,350 Btu/lb product than the 8,800 Btu/lb coal typically mined further south. However, Spring Creek’s coal, like much of Montana’s northern PRB reserves, is also higher in sodium than what’s found in the southern PRB. But being in Montana allows Spring Creek favorable rail haulage to tidewater at Vancouver’s Westshore Terminal. Marshall sees sustained and increasing Pacific Rim thermal coal demand supporting the price of U.S. exports long term, particularly as shippers take advantage of the economies of scale. There’s no question about the opportunity. “Over the last 10 years, China went from being a net thermal exporter to net importer. India’s thermal coal imports increased by 80 million mt over the last 10 years. In total, Pacific Rim thermal demand is forecast to grow by 1 billion mt over the next 10 years and imports are forecast to supply approximately 100 million mt of this growth,” said Marshall. Growth is already apparent. In 2009, Cloud Peak exported 1.6 million mt through Westshore. “Last year we exported just over 3 million mt, hampered only really by terminal capacity.” Though constrained because of overall port capacity, Cloud Peak is the only PRB producer with an actual export footprint: it has leased space at Westshore. But with highly valuable Canadian coking coals crowding out all other room both at Westshore and across the way at Neptune Terminals, that little footprint allowed the company to really stay in the game and move forward. However, like all other producers, until a new high capacity terminal “is built, we are capacity constrained. Those who can, are feverishly working on building a port now,” Marshall said. BNSF’s Stevan Bobb, group vice president for coal, though very pleased with recent developments cautioned that coal exports in general are but a tiny fraction of overall coal production and transportation, in particular for steam coal. While BNSF moved more than 6 million tons to Westshore, it also hauled nearly 275 million tons of PRB to power plants around the U.S. “BNSF is always interested in supporting our customer’s growth. If our customers want to ship into other parts of the world, we want to be part of our customer’s growth and success,” Bobb said. One of the other challenges to building a new terminal is what Jamie Heller, president of Hellerwerx, called “the ghost of LAXT.” For years after the state-of-the-art Los Angeles International Terminal was built, it sat unused and was shut down several years ago. “The ghost of that terminal needs to be overcome in order for another western terminal to be built,” said Heller. Ambre, a relatively new player, has significant coal holdings in Australia and plans to develop a large coal-to-liquids (CTL) facility there. On its Web site, it also discusses plans to acquire mines in either the PRB or the lignite coalfields of Montana and North Dakota. Under the terms of the agreement, Arch will control 38% of the terminal’s throughput and storage capacity. Due to a tight bend in the Columbia, the facility will only be capable of handling panamax-sized vessels. Though smaller than capsize ships, panamax ships haul the vast majority of the seaborne thermal coal bound for the Asia-Pacific market. A brownfield property located on the site of a former aluminum smelter, MBT is dual served by the Union Pacific and BNSF railroads. Having shipping optionality gives Arch and Arch’s clients more flexibility to export its southern Powder River Basin and western bituminous coals, and eventually coal from its recently acquired Montana reserves. Once completed, coal shipments could begin in 2012. As currently planned, the MBT facility will use existing infrastructure with some minor modifications to handle loading 5 million mtpy in addition to other types of bulk commodities. However, given its more than 400 acres footprint, the industrial site offers the potential for large-scale terminal expansion should market demand warrant. This aggressive timetable is already being retarded by green opposition. Environmentalists, shocked MBT might try to expand beyond 5 million mtpy, are mounting a fierce campaign to shut it down before it can begin exporting coal. “The economics look compelling as long as ocean freights rates remain viable. The major obstacles will all be environmental opposition. What this event has triggered is a debate over whether or not we will ship coal overseas to be burned at a time when we, as a nation, are turning away from coal. It begs the question, from a CO2 perspective, what have we accomplished? But either way, it will put a fine point on the policies we’re pursuing,” said Heller. Six days after the MBT announcement, and with Vancouver’s ports already completely congested, on January 18, Arch Coal announced it was going to begin shipping several million tons of PRB coal through Ridley Terminal (RTI) in far away Prince Rupert, BC. The five-year agreement will give Arch throughput capacity at the terminal of up to 2 million mt of coal for 2011 and up to 2.5 million mt of coal for 2012 through 2015. “This transaction is another important step in accomplishing our strategic objective of expanding Powder River Basin coal sales into the Asia-Pacific region. This throughput agreement gives us direct, immediate access to the growing seaborne thermal market,” said Leer. 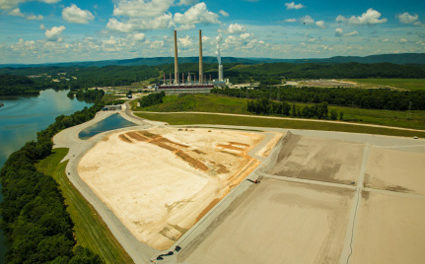 RTI can load up to 12 million mt of coal annually, with expansion plans that could increase the facility’s capacity to 24 million mt by 2015. Indeed, Canadian coking coal producers, furious a “Crown” or quasi-state owned company, would sell precious capacity space to a foreign producer were eventually assuaged because the deal mandates that part of Arch’s fees will be used to expand the overall facility. In 2010, Ridley shipped 8.3 million mt of coal. Due to its northerly geography, RTI affords reduced sailing time to Asia—by more than one day compared to Vancouver, and nearly three days compared to Long Beach, Calif. RTI can handle panamax as well as capesize vessel loadings of up to 280,000 mt. One of its major downsides, however, is its extreme haulage distance. BNSF is originating the coal Arch is sending to Ridley. Though exact figures were not available as of press time, Arch’s movement would be “the longest coal haul that we’d ever seen,” said Bobb. While some have called Arch’s decision to send coal that far a “hail Mary move” to ensure an Asian market presence, others see it as a prudent way to be seen as a player. On February 28, Peabody Energy announced an agreement with SSA Marine to initially export up to 24 million mtpy of coal through the planned Gateway Pacific Terminal at Cherry Point in Whatcom County near Bellingham, Wash. However, actual coal export volumes would be dependent upon global market demand, terminal capacity and other factors. Gateway is being permitted to handle a variety of dry bulk commodities and would serve as a West Coast hub for exporting coal to fast-growing Asian markets. Coal is only one of several commodities including grain, potash, iron ore and calcined coke that could be exported or imported through the terminal during multiple decades of operation. Extensive engineering and permitting work is under way to develop the facility, and port operations could begin within several years based on achievement of key project development milestones. Construction and development would create more than 8,400 direct and indirect jobs and would generate nearly $900 million in economic benefits. Both President Obama and Washington Governor Gregoire have called for increased exports to create jobs and jumpstart the economy. “The lack of a deepwater dry bulk commodities terminal on the West Coast of the U.S. puts American producers at a competitive disadvantage in exporting to Asia. Cherry Point has the combination of naturally deep water, rail access, industrial zoning and large land area to meet this need,” said Bob Watters, vice president, director, business development, SSA Marine. Peabody, which already has shipped limited amounts of PRB coal through Westshore and smaller ports to Asia and South America, has rights to throughput over the life of the operation and could expand its capacity in future years. Though initial reports from both Peabody and SSA quote a 20 to 24 million tons per year throughput figure, Bobb feels that number is misleading. “We’ll see how much it will be. We’re permitting Gateway for up to 54 million mt because we want to be open with the various parties involved about the potentiality of the facility,” said Bobb while cautioning that tonnage figures can definitely change and, though the facility’s capacity may be 50 million mt, through put volumes are purely a function of the marketplace. “We don’t know what the market will be, whether 5 million tons or another number. But the terminal will build out to whatever the markets are,” said Bobb. Also, the terminal is being designed to handle multiple dry bulk commodities, not just coal. Thus far, only Peabody has been mentioned as a user of the proposed Gateway Pacific Terminal. However, BNSF’s position is that Gateway “will supply throughput capacity for multiple customers,” and that no producers are locked out of the facility nor is there any potential exclusivity. Peabody has not mentioned if it has taken an equity stake in the project similar to Arch’s strategy with the Millennium Bulk Terminal in Longview. Peabody, a shrewd competitor, may very well ship more than just PRB coal through Gateway, if indeed the port comes to fruition. It’s likely the terminal will be able to handle a variety blends and coal types as the company adjusts their mining strategies to fit the needs of their emerging customers in Asia. Though Peabody no longer mines in Appalachia, it is one of the largest shippers off the U.S. east coast, maintaining a large presence at the Dominion Terminal (DTA) in Hampton Roads, Va.